It’s true that sometimes less is more, but the Go Graphics team also believe that bigger is often better! Large scale buildings and industrial premises require a range of prolific indoor and outdoor signage to present your company brand to passing traffic and most importantly, visiting clients. We have the killer instinct when it comes to producing industrial and service signage tailored to your specific needs. Our consultants and designers will work with you following a detailed inspection of the premises and offer solutions including fabricated free-standing signs, router-cut or 3D fabricated logos and lettering, traditional signwriting, acrylic reception signs, illuminated signage and more. We also supply safety and directional signage, and of course livery for all company fleet vehicles and machinery. 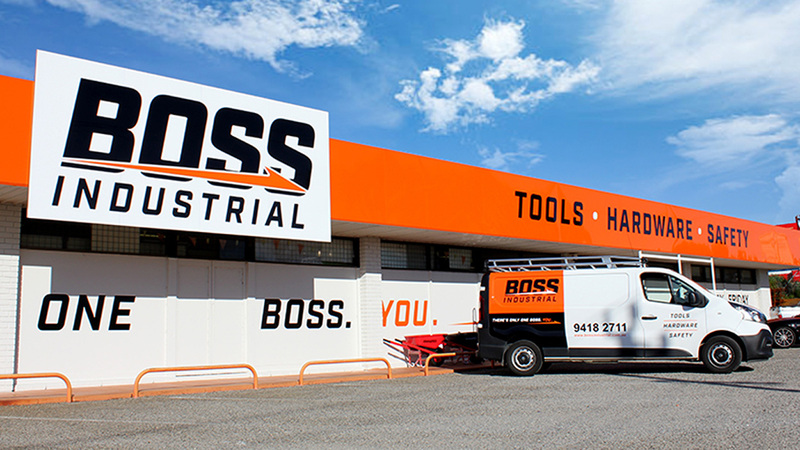 Our industrial clients include The Boathouse, Freightmart International, KSB minerals and McNally Group – they all value professional, tailored signage solutions that deliver results for their business, which is why they have come to rely on Go Graphics. Here are a few stellar examples from recent times.